Our lab members include research faculty, post-doctoral scientists, master’s and doctoral students, post-baccalaureate researchers, and undergraduate students. Our members have expertise and background in neuroimaging, cognitive neuroscience, clinical neuropsychology, developmental psychology, computational science and bioinformatics, linguistics, and neuroanatomy. Dr. Müller, aka Axel, has specialized in functional brain imaging of neurodevelopmental disorders and typical child development for over 20 years. Following postdoctoral work on functional plasticity in children with early brain damage, he has applied neuroimaging techniques in autism since the late 1990s. He founded the Brain Development Imaging Laboratory in 2001. He is also one of the founding members of the SDSU Center for Clinical and Cognitive Neuroscience (CCN). Ruth has two areas of research focusing on the brain bases and long-term phenomenology of autism spectrum disorders. (1) She uses structural MRI and Diffusion Tensor Imaging to study the neuroanatomy of autism, how it changes during development, and how these structural differences help to explain differences in cognition. 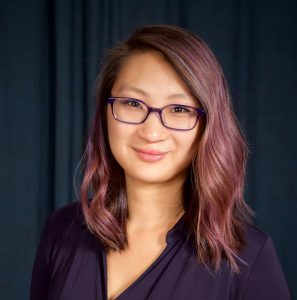 She is working with other BDIL members to combine measures of anatomical connectivity (DTI) with measures of functional connectivity (fcMRI) to better understand the brain bases of autism-related behaviors in toddlers, adolescents, and mature adults. (2) Ruth also has a strong interest in how adults with autism fare as they age. She currently leads a study examining 40 to 65 year olds with autism. Dr. Jao Keehn’s research interests focus on the development of neural and behavioral mechanisms underlying visual, haptic, and multisensory processing in children with and without autism spectrum disorders. 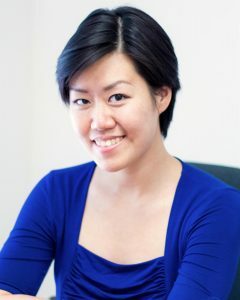 Her work currently involves the use of multimodal imaging techniques, including task-based functional MRI and functional connectivity MRI among others, to examine the impact of sensory development on socio-communicative abilities in young children (aged 4-7 years) with autism. 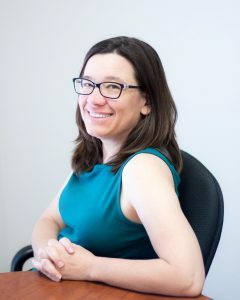 Dr. Kinnear received her doctorate in Clinical Psychology from University of Colorado, Boulder where her dissertation focused on understanding social functioning in adolescents and young adults with ADHD and continued her research as a postdoctoral fellow at Rady Children’s Hospital San Diego, working on studies examining novel assessment and intervention techniques for children and adults with ASD. 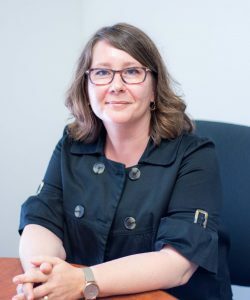 At BDIL Dr. Kinnear pursues her research interests in understanding the mechanisms underlying social communication challenges across the lifespan in individuals with ASD and other neurodevelopmental disorders. Dr. Jonni Johnson graduated from the University of California Davis with a PhD in developmental psychology. She is interested in memory development in those with and without autism. 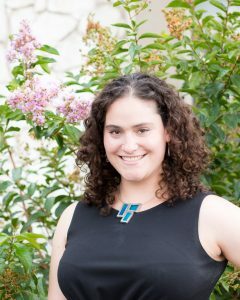 As the Oscar Kaplan postdoctoral fellow, she is now incorporating cognitive neuroscience imaging techniques to study memory and autism, applying such findings to the legal and educational systems. 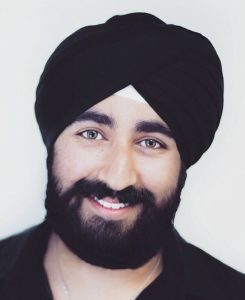 Bosi is a doctoral student in the SDSU/UC San Diego Joint Doctoral Program in Clinical Psychology. She graduated from New York University with B.A. in Psychology and Economics. She then worked as a Research Associate at the NYU Child Study Center to study the underlying neural mechanisms of autism and ADHD in children and adolescent. 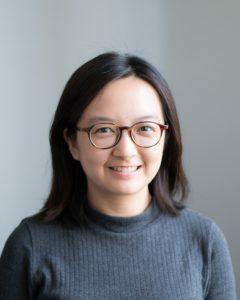 Her current research interest is in brain development of autism with a focus on resting state functional connectivity and neural correlates of restricted and repetitive behaviors. Tiffany is a PhD student in the Psychology department at UC San Diego (UCSD). 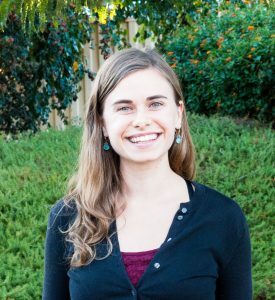 After graduating from UCSD with a B.A/B.S in psychology and biology, she worked with Dr. Aubyn Stahmer at the Child and Adolescent Services Research Center on ways to deliver evidence-based practices into community settings. 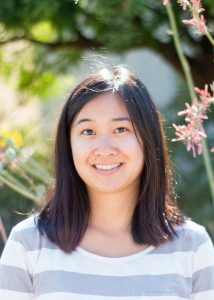 Tiffany is jointly working with our lab, as well as with Dr. Leslie Carver’s Developmental Neuroscience Lab at UCSD. She is interested in identifying biological or behavioral markers in infants and toddlers at risk for autism. Molly received her B.S. 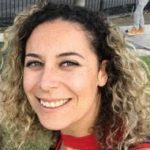 in Behavioral Neuroscience from Northeastern University and is currently a student in the SDSU/UC San Diego Joint Doctoral Program in Clinical Psychology. 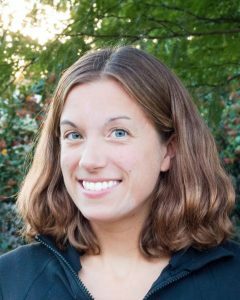 Molly has focused on ASD research the past few years, working in a neuroimaging lab at Boston Children’s Hospital, a pharmacology lab at George Washington University, and an emotional processing and cognition lab at the Yale Child Study Center. Most recently, she was a behavior therapist for kids with ASD. She is interested in girls with ASD, as well as development over the lifespan in individuals with ASD. Michael received his B.S. in Neuroscience and Psychology from Regis University in Denver, Colorado and is currently a master’s student in psychology at SDSU. His research interests include using functional and structural neuroimaging methods to better understand behavior and neural mechanisms underlying ASD. Fatima is a graduate student in Statistics. She is interested in using statistics to solve complex problems. She is part of the Bioinformatics group at BDIL and is currently, she is working on clustering techniques to identify sub-types in autism. Adam received his B.S. in Psychology from the University of Hawai’i at Manoa. While there, he worked in a lab that studied attention and multimodal sensory integration. Currently, he is a Master’s student at SDSU. He is also potentially interested in both the neurophysiological underpinnings of autism and how such findings can be used to better differentiate and diagnose individuals on the Spectrum. Ian graduated from UC Santa Cruz with degrees in Neuroscience and Cognitive Science. Since then, he has taught AP Psychology and worked as a Behavior Interventionist. Additionally, he was a research assistant at the SDSU Center for Understanding and Treating Anxiety, focusing on the role of attentional bias in anxiety disorders and the psychometric properties of laboratory measures of attention. In BDIL since 2018, Ian coordinates all aspects of the Aging in Autism Project and serves as a supervisor to BDIL Research Assistants. Ian plans to pursue a graduate degree in Clinical Psychology. Vinton is a recent graduate of SDSU’s Masters of Public Health program in Health Promotion and Behavioral Science. Specializing in Community Engagement, Vinton is helping us build trust and partnerships between BDIL and the many communities throughout San Diego County and beyond. Mikki received her B.S. in Cognitive and Behavioral Neuroscience from UC San Diego in March of 2018. During her time at UCSD she was a research assistant in the Infant Vision Lab and the Wellness Initiative for Senior Enrichment (WISE) Lab. She plans to obtain a graduate degree in Clinical Psychology and hopes to become a Clinical Neuropsychologist. At BDIL, she coordinates participant recruitment for the children and adolescent studies while also conducting cognitive assessments and MRI scans. Chris received his B.S. in Psychology from University of California, San Diego (UCSD) and has completed Masters Thesis in psychology at SDSU. In his thesis project, Chris examined functional brain network development in children with ASDs. He is currently working on completing several manuscripts and is assisting with many aspects of the Toddler and Aging Project, including Toddler night scans and neuropsychological assessment of adults with ASDs. Chris’ research interests lie in the intersection between neuropsychology and neuroimaging throughout lifespan. Wanda has been a research assistant at BDIL since July 2017. She graduated from UC Berkeley in June 2016, where she obtained a B.A. in Psychology. During her undergraduate studies she conducted research at Berkeley’s Auditory Perception Lab, where she investigated semantic and phonetic comprehension for cochlear implant technologies. She is interested in developing expertise in brain imaging methods, and is currently an EEG technician for Grossmont Hospital’s Electrodiagnostic Center. Wanda is planning to apply to medical schools in the near future. Chantal Chaaban is an undergraduate student at SDSU studying Psychology. She joined BDIL in October 2017 and has been assisting with the Aging in ASD study by scoring behavioral protocols, entering data, and attending MRI scans. She has a passion for working with children and plans to be a Pediatric Occupational Therapist in the near future. Outside of school and research, she interns for an Occupational Therapist and helps kids improve their cognitive, motor, and social skills. Michelle Ortega is an undergraduate student at SDSU majoring in Psychology and double minoring in Counseling and Social Change and an Honors Minor in Interdisciplinary studies from the Weber Honors College. She joined BDIL in September of 2017. She mainly works with the Adult ASD Study by scoring neuropsychological assessments and helping with MRI scans. She is also working with the Diffusion Tensor Imaging software “TRACULA” to examine white matter tracts in the brain. In the future, she hopes to pursue a Clinical Neuropsychology program and obtain her PhD. She has a passion for autism and would love to continue to specialize in autism research/treatment. Katherine has been a research assistant at BDIL since December 2017. She graduated from Syracuse University in May 2017 where she obtained a B.S in Psychology. 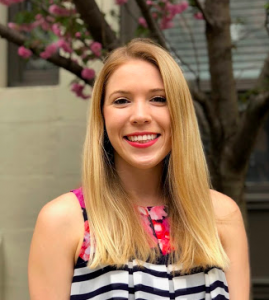 Katherine has been involved in Applied Behavioral Analysis therapy as well as intervention research since May of 2016 and hopes to further her education through obtaining a PhD in Clinical Psychology. She is passionate about autism research and hopes to learn more about the neurological signs of autism to further and expand opportunities for treatment for individuals with autism. Mercedes is an SDSU student, majoring in Psychology with a minor in statistics. Mercedes joined BDIL in January 2018 and is assisting with the Toddler Project. She is passionate about childhood development and neuroscience and hopes to further expand her knowledge on cognitive neuroscience to better understand and provide for children with neurological disorders. In the near future she hopes to obtain her Ph.D. in clinical neuropsychology with an emphasis in pediatrics..
Ashley is an undergraduate student at SDSU studying psychology with a statistics minor. She joined the lab in January 2018 and is assisting with the Aging in ASD project through data entry and scoring. In the future she would like to pursue a doctoral degree in neuropsychology, specializing in autism and neurodegenerative disorders. Ian is a third-year undergraduate and is majoring in psychology at SDSU. He joined BDIL in January 2018. He is interested in social development and neuropsychology. After graduating, he plans on pursuing a PhD. Ryan Tung is a first year undergraduate student at SDSU majoring in psychology. He joined BDIL in February 2018. He is interested in neuropsychology. In the future, he plans to obtain a PhD in Neuropsychology and be a researcher. Ashley is a graduate from California State University, San Marcos (CSUSM) and obtained a B.A. in Child and Adolescent Development. She joined the BDIL lab in November 2017 as a research assistant. She hopes to continue her education to obtain a PhD and is interested in developmental psychology and neuropsychology. Julia is an undergraduate student at SDSU working towards a B.A. in Psychology with a minor in Child and Family Development. She joined the lab as a research assistant in January 2018 and mainly focuses on the child and adolescent studies. Julia enjoys working with children and is greatly interested in disorders of development. As a research assistant, she hopes to learn more about child development, as well as different approaches to help those affected by developmental disorders. In the future, she hopes to pursue a career as a Occupational Therapist for elementary school-aged children. Kimberley is an undergraduate at SDSU studying psychology. She joined BDIL in July 2018. She is interested in developmental psychology and neuropsychology. After graduating, she would like to pursue a career in research. Nick is an undergraduate pursuing a degree in Psychology and IO emphasis with a Business Management minor graduating in one semester. He hopes to attend graduate school for IO psychology and work as a private consultant for businesses. He has been with the lab since June 2018. Michael is a third year psychology major studying at the University of San Diego. He joined BDIL during August 2018 and currently works on the toddler study. His interests include the intersection of science and philosophy, nature as a therapeutic tool, clinical psychology, and the relationship between depression and creativity. 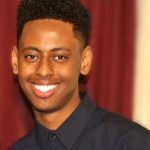 After graduating in 2020 he plans on pursuing a PhD in Clinical Psychology. Tamae graduated from the University of San Diego with a B.A. in Psychology and a minor in German. She joined the BDIL lab in June 2018 and is part of the Toddler Study Project, which utilizes MRI to detect Autism Spectrum Disorder biomarkers in early development. Tamae plans to pursue a graduate degree for speech pathology. 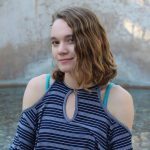 Monica is an undergraduate student at SDSU majoring in Psychology with an Honors Minor in Interdisciplinary Studies from the Weber Honors College. She joined the lab in January of 2018 and is currently working on the child and adolescent study. Monica has a passion for understanding the correlation between the action patterns of the brain and its resulting behaviors, as well as comprehending the brain patterns of those struggling with neuropsychological disorders. She hopes to follow up this experience with graduate school, and ultimately obtain a doctorate degree in neuropsychology. Mari graduated from San Diego State University with a Bachelor of Arts degree in Psychology. She’s been volunteering at the Child and Adolescent Services Research Center for over a year studying the implementation strategies used to treat children diagnosed with Autism Spectrum Disorder. She joined BDIL to gain experience working with imaging techniques such as MRI. She is also hoping to gain expertise and mastery performing quality checks to imaging scans as well as scoring assessments. Mari plans to pursue a Ph.D. in Clinical Psychology with an emphasis in Neuropsychology. Erica Palmer, Ph.D. — Research Scientist, Pacific Science & Engineering Group, Inc.
Christine Brown, M.A. — Director of Research and Compliance, Pacific Science & Engineering Group, Inc.